OFFICERS from the National Police have arrested five people in Fuengirola and Las Lagunas for theft of mobile phones. Two women and three men from Bulgaria, Morocco and Romania have been charged with stealing large numbers of mobile phones from nightclubs and bars around Spain. 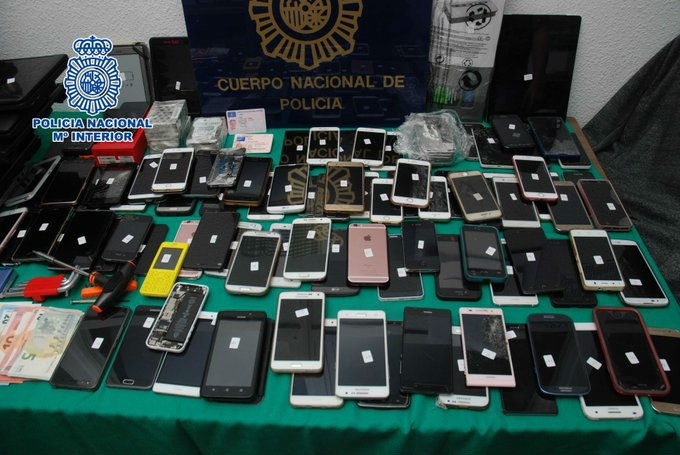 When officers raided a property in Las Lagunas, they discovered 107 mobile phones, 14 computers, five cameras, 12 hard disks for laptops, three tablets and €855 in cash all believed to have been obtained from thefts in Malaga, Palencia and Santander.